Richard Demarco was a co-founder of the Traverse and the first Vice-Chairman of the Committee of Management (now board) in the theatre’s earliest days. He was also the director of the Traverse Gallery within the venue, which was an important part of the venue in its first years. This hosted the Demarco Archives, which now exist as the Demarco European Art Foundation and host a unique record of contemporary arts activities and related developments in Scotland and internationally from the early 1960’s to the present. 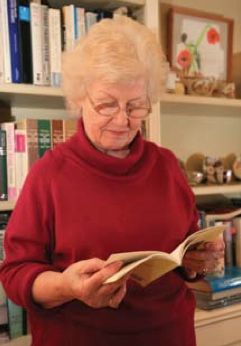 Sheila Colvin was an early leader of the Traverse, on the Committee (now board) as the Honorary Secretary for the first two years, and then working as the General Manager from 1964-1965. She did various work in theatre and television, then went on to work as the Associate Director of the Edinburgh International Festival for ten years and as the Director of the Aldeburgh Music Festival for nine years. 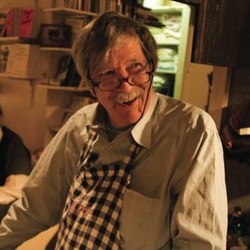 John Calder was a vital contributor to the founding of the Traverse and served on the Committee (now board) in its earliest days, offering particular assistance in programming seasons of shows. 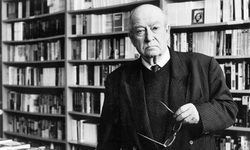 He founded Calder Publications in 1949, which continues today to publish avant-garde new writers and books on the arts. Calder also devised the International Writers’ Conference for the Edinburgh International Festival in 1962 and the Drama Conference in 1963. John Martin was an already established commercial artist when he joined a group of friends in the creation of the Traverse Theatre and was one of the first Committee members. Sean Hignett proceeded by scholarship from a Merseyside dockland school to St. Peter's College, Oxford where he gained an M.A. in Philosophy and Psychology and B.Phil in Aesthetics. In 1961 he arrived in Edinburgh to lecture at the College of Education and served on the Committee (now Board) of the Traverse in its early years. In 1965 he was commissioned by the Everyman Theatre, Liverpool, to write for the Commonwealth Arts Festival the stage musical Jack of Spades. The following year his first novel, A PICTURE TO HANG ON THE WALL, was published to universal uproar. 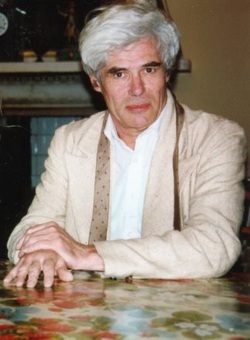 In 1970 he was awarded the D.H. LAWRENCE FELLOWSHIP by the University of New Mexico which allowed him to live on Lawrence's former ranch in the Rockies where Dennis Hopper, high on the success of Easy Rider, was his next-door neighbour and where he played a small advisory role in the editing of 'The Last Movie.’ Close by lived Dorothy Brett, the Bloomsbury painter who had followed DH Lawrence to New Mexico in the 1920s. Hignett later wrote her official biography. A short story ALLOTMENT was turned into both a television play for the BBC and a stage play for the Pool Theatre Edinburgh. AND DID HE COME, his short play about Jesus, Mary and Joseph, was produced by the Traverse. While training as a teacher of Speech and Drama at Central School of Speech and Drama in London, Catherine met up with a group of Poets led by Peter Porter and George Macbeth, who invited her to read with them at the Edinburgh Festival, 1963, where she discovered the Traverse. Throughout Catherine’s career she has commissioned and directed plays, many of them involving musicians and visual artists. During her time at Eden Court Theatre she commissioned seven plays from Highland writers, including pieces from Ian Crighton Smith, George Gunn, Angus McNichol. These included a multi author piece by six writers from the different crofting area. As a trained teacher of Drama she has consistently introduced education programmes into all the theatres she has worked for. She started the first Community Arts project in Britain, based in Edinburgh and which lasted actively for 40 years. She worked as a Free-lance Arts Management Consultant, and clients included the Arts Council of England, Sadlers Wells Theatre, Theatre Royal, Stratford East, National Trust, and various local councils and corporate clients. Other experience includes: Managing Director, Northern Ballet Theatre; Director, Eden Court Theatre, Inverness; General Manger, Perth Theatre, Perth; Director, Rosehill Theatre; Lecturer in Drama, Moray House College of Education; Free Lance Director. She also founded Theatre Workshop, Edinburgh, the original Community Arts project. She was a member of the Scottish Arts Council's Drama and Dance Committee, chaired various arts committees and served on the Theatre Managers Association Board, chair of the Civic Trust in Halifax. She is currently Vice-Chair of the Friends of the Talbot Rice Gallery, Chair of Voluntary Arts Scotland a national charity supporting the practice of the arts across Scotland and Vice President of the Scottish Arts Club.